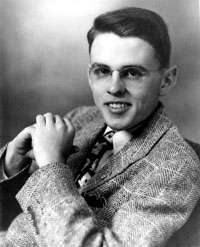 James Reeb (January 1, 1927 – March 11, 1965) was an American Unitarian Universalist minister, pastor and civil rights activist in Washington, D.C. and Boston, Massachusetts. While participating in the Selma Voting Rights Movement actions in Selma, Alabama, in 1965, he was murdered by white segregationists, dying of head injuries in the hospital two days after being severely beaten. Reeb was born on January 2, 1927 in Wichita, Kansas, to Mae (Fox) and Harry Reeb. He was raised in Kansas and Casper, Wyoming. He graduated from St. Olaf College and attended Princeton Theological Seminary in Princeton, New Jersey  and ordained a Presbyterian minister after graduation. As a scholar of theology, Reeb grew away from traditionalist Presbyterian teachings and was drawn to the Unitarian Universalist church. Reeb appreciated the church's emphasis on social action, and he became active in the civil rights movement during the 1960s. Beginning in his new ministry, Reeb encouraged parishioners to participate in the movement as well. With his wife and four children, he lived in poor black neighborhoods where he felt he could do the most good. After three years of active service at All Souls Church in Washington, D.C., Reeb was fully ordained as a Unitarian Universalist minister in 1962. In 1964, he began as community relations director for the American Friends Service Committee's Boston Metropolitan Housing Program, focusing on desegregation. A member of the Southern Christian Leadership Conference (SCLC), Reeb went to Selma to join protests for African American voting rights following the attack by state troopers and sheriff's deputies on nonviolent demonstrators on March 7, 1965. After eating dinner at an integrated restaurant on March 9, Reeb and two other Unitarian ministers, Rev. Clark Olsen and Rev. Orloff Miller, were beaten by white men with clubs for their support of African American rights. Several hours elapsed before Reeb was admitted to a Birmingham hospital where doctors performed brain surgery. While Reeb was on his way to the hospital in Birmingham, civil rights leader Martin Luther King, Jr. addressed a press conference lamenting the ‘‘cowardly’’ attack and asking all to pray for his protection. Reeb died two days later. His death resulted in a national outcry against the activities of white racists in the Deep South. Reeb’s death provoked mourning throughout the country, and tens of thousands held vigils in his honor. President Lyndon B. Johnson called Reeb’s widow and father to express his condolences, and on March 15 invoked Reeb’s memory when he delivered a draft of the Voting Rights Act to Congress. The same day, King eulogized Reeb at a ceremony at Brown’s Chapel in Selma: "James Reeb symbolizes the forces of good will in our nation. He demonstrated the conscience of the nation. He was an attorney for the defense of the innocent in the court of world opinion. He was a witness to the truth that men of different races and classes might live, eat, and work together as brothers." In April 1965, four men were indicted in Dallas County, Alabama for Reeb’s murder; three were acquitted by an all-white jury that December. The fourth man fled to Mississippi and was not returned by the state authorities for trial. The Voting Rights Act was passed on August 6, 1965. In July 2007, the Boston Globe reported that the FBI's Cold Case Initiative had reopened the investigation into the 46-year-old case. The renewed investigation was also reported by The Anniston Star and The Clarion-Ledger of Jackson, Mississippi. Reeb is portrayed by Jeremy Strong in the 2014 film Selma. 1 2 Anderson, Laura. "James Reeb". March 16, 2009. Encyclopedia of Alabama. Retrieved 9 March 2013. ↑ Howlett, Duncan (1993). No Greater Love: the James Reeb story. Boston: Skinner House. pp. 2–3. ISBN 1-55896-317-0. Retrieved 15 September 2011. 1 2 3 4 5 6 "Reeb, James (1927-1965)". The King Papers Project. 1 2 "On This Day: Mass Moments". Massachusetts Foundation for the Humanities. 2011. Retrieved 15 September 2011. 1 2 Howlett, pp. 81ff. 1 2 Helman, Scott (17 July 2011). "Letter from Selma". The Boston Globe Magazine. Globe Newspaper Co.: 14–21. Retrieved 15 September 2011. 1 2 Jack, Homer and John Sullivan. "James Reeb: Civil Rights Martyr and AFSC memorial statement on James Reeb" (PDF). www.afsc.org. Friends Journal and AFSC. Retrieved 31 December 2014. ↑ Schapiro, Rich (March 8, 2015). "Reverend recalls watching fellow minister die in Selma". NY Daily News. Retrieved May 12, 2015. 1 2 3 Mitchell, Jerry (March 11, 2011). "Clark Olsen still weeps over killing of fellow minister". The Clarion-Ledger. Retrieved May 12, 2015. ↑ Yamato, Jen (June 10, 2014). "Jeremy Strong Joins 'Selma,' 'Black Mass,' 'Time Out Of Mind'". Deadline.com. Retrieved June 12, 2014. Anderson, Laura. "James Reeb". March 16, 2009. Encyclopedia of Alabama. Retrieved 9 March 2013. Reeb, James (1927-1965)" Martin Luther King Jr.: and the Global Freedom Struggle. Martin Luther King,Jr. "A Witness to the Truth." (PDF). UUWorld. Retrieved March 9, 2013. "Touched by their family history, Rev. James Reeb’s granddaughters Leah Reeb and Corrie Lubenow have traveled to Selma to better understand his convictions and his sacrifice" Made in Wyoming: Our Legacy of Success.